Successfully saved Crockpot Pumpkin Dump Cake to your Calendar. You can also save the ingredients to your Grocery List. 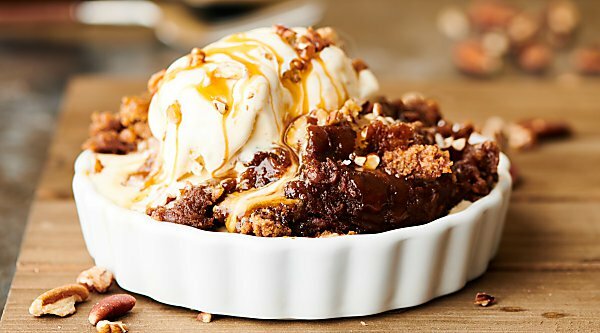 Crockpot Pumpkin Dump Cake. An easy homemade pumpkin pie filling made with pumpkin, brown sugar, vanilla, cinnamon, ginger, cloves, nutmeg, and salt gets topped with caramel, pecans, spice cake mix, and butter. Don't forget to serve it warm with a scoop of vanilla ice cream!